Looking for a quality and affordable electrician? Whether you're a business looking for a total lighting retrofit or a homeowner just looking to reduce your costs, Valleywide can help. 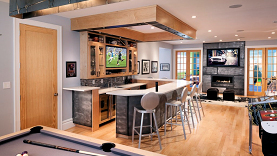 Want an electrician that will recognize your individual electrical needs and find the best solution to your problem - all while being considerate of your budget? Look no further, give Valleywide Electric, Inc. a call today! Owned by Robert Meixsell since 1987 and formerly located in Bath, VWE is now more centrally located in Allentown, PA. state-licensed, Valleywide Electric, Inc. provides quality, affordable electrical services to commercial and residential customers living in Lehigh, Northampton, Carbon, Monroe and Bucks counties. 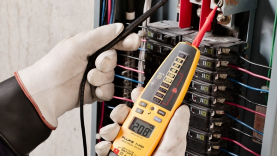 A free, on-site estimate is always offered by Valleywide Electric, Inc. Several of our electricians hold master licenses and we pride ourselves in staying current on certifications and code regulations, ensuring you the best, most up-to-date solutions to your specific needs. We provide a multitude of services including wiring and repairs, service upgrades, lighting control, computer networking and code violation repairs. "Go Green" with our energy saving solutions. One of our master electricians will give you a free consultation regarding your current lighting and advise as to how we can help you lower your energy costs by installing new, more efficient lighting that uses less energy, saving you money! We even assist you in submitting rebates, currently offered by electric companies and the state, to make your experience as painless as possible. Accredited by the Better Business Bureau (BBB), Electrical Contractors of the Lehigh Valley (ECLV) and The Associated Builders and Contractors of the Lehigh Valley (ABC), Valleywide Electric, Inc. has the reputation to give you confidence that your job will be completed to the highest standard in the business! 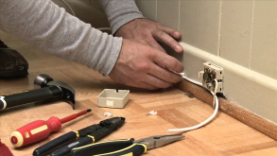 When you need electrical work done, call Valleywide Electric, Inc. - the company you can call with confidence for first-rate, budget conscious electrical solutions for you!